The Episode starts with Raghavendra asking Triloki what is his problem, why did he get him here. Triloki checks his hair. He says Guru ji, you are my teacher, you didn’t give values to your sons, how can a man stay abroad and forget roots, your son isn’t a Brahman. Raghavendra says yes, I m not obeying the rituals. Triloki scolds him. Raghavendra clarifies about his skin allergy. He proves himself and gives his knowledge. He says I obey Dharm. Guru ji scolds Triloki and asks him not to be foolish to judge someone by clothes. Raghavendra says its good we got to know his bad thinking, I thought Shivika is a nice girl, Triloki crossed the line now. Triloki says I didn’t know about all this, come and sit in marriage mandap. Raghavendra says marriage will happen after Shivika’s decision. They come out. Raghavendra says you have to end ties with your dad if you want to marry me. Shivika asks the matter. He tells Triloki’s insulting behavior. Shivika apologizes to Raghavendra. Triloki says Shivika will always obey you, its her Dharm. Raghavendra scolds Triloki for being so cryptic. Shivika says its no way to talk to my dad. Triloki says don’t say in between. Triloki says forget everything, come and sit in mandap. Raghavendra says Shivika should choose marriage or her dad, I can’t marry in this family. Shivika says you are insulting my dad, please apologize to him. He says he should apologize to me, do you accept this condition or not. She says you are calling his thinking wrong, your thinking is wrong, you are asking me to forget my family, I don’t accept your condition. Raghavendra says fine, you will marry the one who obeys you and your dad. Devki says we can solve this problem, don’t break the marriage, we can sit and talk, I m sorry. She asks Triloki to stop them. Guru ji and family leaves. Guests also leave. Triloki gets angry. Omkar defends Jaya since she has worried for his marriage too. Gupta says its not just Jaya’s mistake, but you all are also at fault, you all should leave the house. Omkar says we will not talk about this. Pandit asks what about my Dakshina. Gupta says you will get it. Jaya comes in. Triloki gets blaming Shivika for everything. She argues and blames him. He gets a heart attack. They all get worried and rush him to the hospital. GST says your fake marriage broke. Omkar says Shivika got married. GST asks who is she, what’s her address. Omkar tells about Shivika’s marriage happening. GST gets a call. He says its a bad news, Triloki is admitted in city hospital, I have to go. Omkar says I will come along. GST says come fast, you have to drop me home, maybe something good happens with her. Shivika asks doctors to save her dad. The nurse asks her to arrange 1 lakh rs. Omkar and GST come to the hospital. GST says you have come with me, its good, find someone for you. Omkar sees Shivika running out and smiles. He says Shivika, here…. her marriage…..He goes after her. GST asks him to just come. They meet Triloki’s family. Omkar tries to help and says you are Shivika’s mum right, I know her, I know the doctor also, I will talk to him, don’t take any tension. He says I will go to doctor’s house and come. Nurse asks for depositing money for tests. Devki says Shivika will come in some time. Shivika says how will we get money, I just got 40000rs. Omkar helps Shivika. Yeh moh moh ke dhaage…..plays…. He goes to meet Triloki. 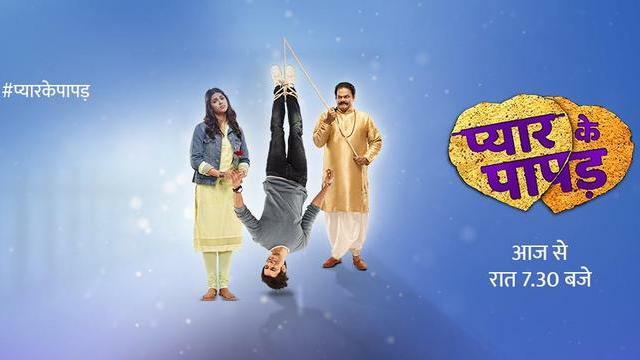 The post Pyaar Ke Papad 2nd March 2019 Written Episode Update: Shivika’s marriage breaks appeared first on Telly Updates.